The CMG Safe Haven online training is replacing the VIRTUS training. The training consists of 3 vignette style training videos that is approximately 60 minutes and will include a background check to complete. These trainings are available in English and Spanish. You will no longer access the VIRTUS database. We will no longer offer live trainings, all Safe Environment trainings will now be online. • All new employees and volunteers will complete the Safe Haven online training program instead of VIRTUS PGC training. The turnaround time for approval may be approximately two weeks or less. • All individuals must complete the training and complete a background check prior to the start of employment and/or volunteer service. • The 5-year anniversary date is still in place, individuals who recently attended VIRTUS will not be due to complete refresher trainings until they have met their 5-year anniversary date. • As the 5-year anniversary date is met, individuals will need to log into CMGConnect with their previous VIRTUS user id and 1234 as the password. If they do not remember the user id, please contact the parish Safe Environment Coordinator or the CMG office. The CMGConnect dashboard works best with Google Chrome or Microsoft Edge. Internet explorer is not compatible with their platform and will not work properly. La capacitación en línea de CMG Safe Haven está reemplazando la capacitación de VIRTUS. La capacitación consta de 3 videos de capacitación de estilo de viñeta que duran aproximadamente 60 minutos e incluirá una verificación de antecedentes para completar. Estas capacitaciones están disponibles en inglés y español. Ya no accederás a la base de datos VIRTUS. Ya no ofreceremos capacitaciones en vivo, todas las capacitaciones de Ambiente Seguro ahora estarán en línea. • Todos los empleados y voluntarios nuevos completarán el programa de capacitación en línea de Safe Haven en lugar de la capacitación VIRTUS PGC. El tiempo de respuesta para la aprobación puede ser de aproximadamente dos semanas o menos. • Todas las personas deben completar la capacitación y completar una verificación de antecedentes antes del inicio del empleo y / o el servicio voluntario. • La fecha de aniversario de 5 años todavía está vigente, las personas que asistieron recientemente a VIRTUS no deberán completar las capacitaciones de actualización hasta que hayan cumplido su fecha de aniversario de 5 años. • A medida que se cumpla la fecha de aniversario de 5 años, las personas deberán iniciar sesión en CMGConnect con su ID de usuario de VIRTUS anterior y 1234 como contraseña. Si no recuerdan la identificación del usuario, comuníquese con el Coordinador de Ambiente Seguro de la parroquia o la oficina de CMG. 1. Personas que nunca han asistido a la formación. 2. Las personas que actualmente deben recibir una capacitación de actualización y que no hayan asistido a la capacitación de VIRTUS. El panel de control de CMGConnect funciona mejor con Google Chrome o Microsoft Edge. Internet Explorer no es compatible con su plataforma y no funcionará correctamente. 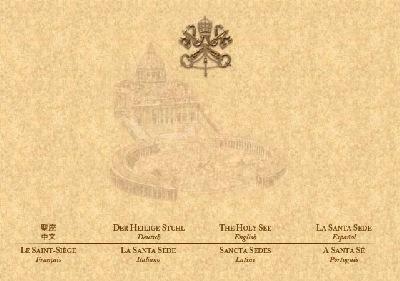 The Holy See- Official Vatican homepage. 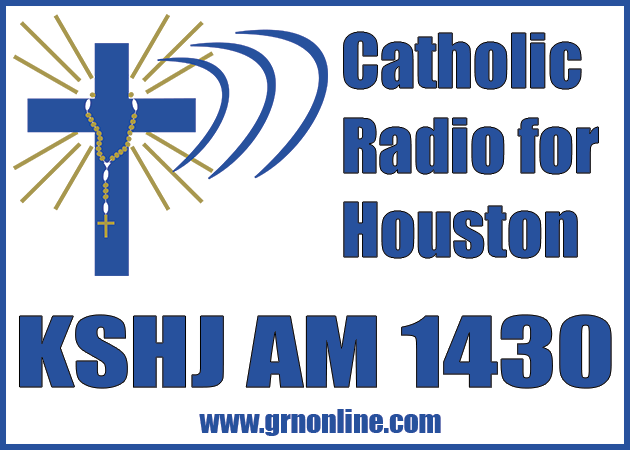 Presents news services, information on the history of the Catholic Church and departments of the Roman Curia. St. Andrew Catholic Church is excited to bring to you the opportunity for continuing to enrich our faith through this CD Program. You will find a listing and description of all CD’s available in the kiosk found in the narthex of the Church. If you wish to order any titles; receive more information about the program; make suggestions of topics you are interested in; or make comments about a particular CD, please contact Hazel Lintag at hml7067@standrewchurch.net or 281-452-9865.